I'm sure that everyone around me at the moment are enjoying their uber long holiday for Chinese New Year and to be honest, I did get myself a long rest over the weekend as well. But with that amount of time in my hand, something came to my mind. I was watching my favourite show The Big Bang Theory when I got this idea (and they say you can't learn things from TV) at it occurs to me that maybe something there that I can use to actually explain the state of mind of some people these days. It is unfortunate that I have been surrounded with much hatred among people lately and for most of the time it is for reasons that either is unclear or even unknown to people, including those involved. So what actually causes this kind of hatred to stem? The theory behind this cat is simple, it kinda explains in what state of mind where it is "in between" two states of mind and thus creating a paradox of "two states". Allow me to break it down. First, a cat is placed in a sealed box. Inside the box itself is a Geiger counter that holds a mechanism with a hammer that is placed on top of a vile of hydrochloric acid and at a random moment, the counter MAY OR MAY NOT ACTIVATE the mechanism of the hammer which might break the vile of acid itself. 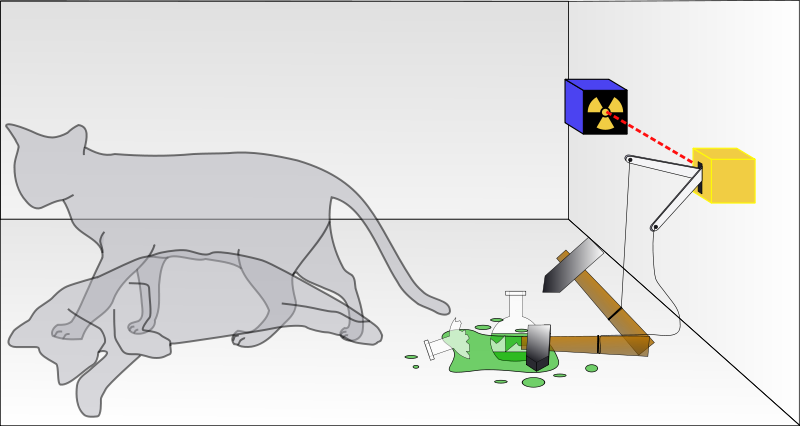 So in this situation, there is no way for a person to know whether or not the cat inside the box is alive or dead or whether the hammer itself was activated by the counter. 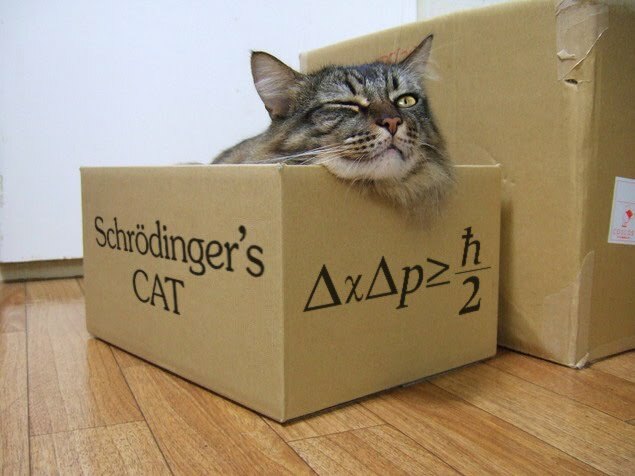 Since that we cannot know this fact, quantum law dictates this "superposition" as a state of mind that until you open the box or examine the cat, the state of mind stays at a position that the cat "is both alive and dead" at the same time. Wouldn't this in some way explain the current situation that most of us here are currently facing? For most of the time that we ourselves don't even know why or what causes us to hate a person so badly. I would even dare say that some would even hate a person so badly for reasons that they themselves don't even understand fully or worse, no reason at all. Imagine the box with the cat again. This would mean that people today prejudge another "without even opening the box" and in the end, creates his/her own assumption of the state of the person itself. Most people today would not want to take the trouble to actually examine the person by finding out either who the person really is or what is the real reason all this is happening. Figuratively, by opening the box. So instead, they come out with their own "prejudge" conception in their mind of what they should think and thus hating a person for really "no reason at all" which is a crying shame. So many times I have seen cases where people just simply hate and when asked why, they can't seem to bring themselves to explain further then "because I think...". So many times I have seen people taking the trouble to ensure that people see their hatred for another but not take the same amount of effort to actually find out the exact and real reason of hating the person. In a way, it is interesting how so many fights and arguments can be avoided in this world if people would first find out whether the person is actually worth being hated to begin with. Honestly, I don't have a problem about hating a person, as it is just another natural human reaction. 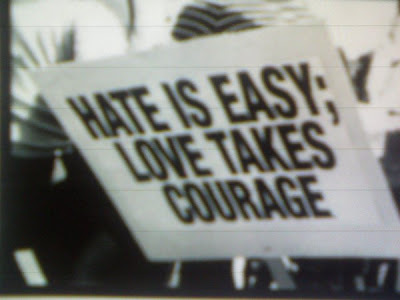 But find out exactly why the person should be hated and have a conclusive reason to do so. 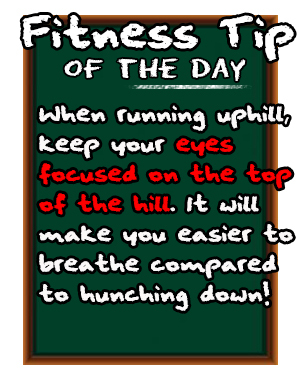 Otherwise, just don't do it. Maybe after this article, I can always say to people. "Just open the damn box and find out..."
that cat looks excruciated in the box.